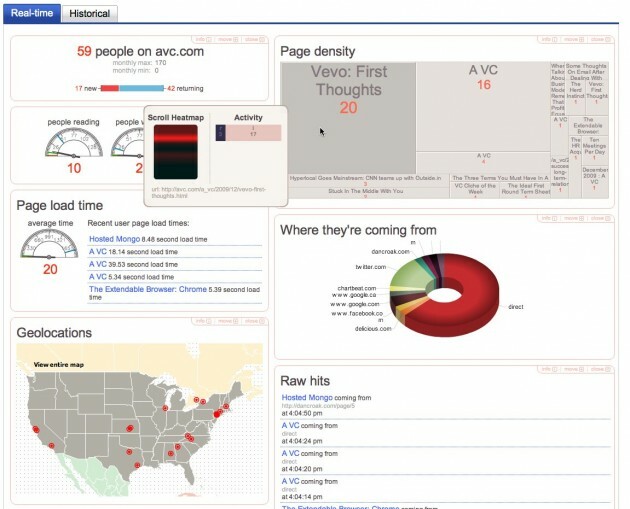 If Google Analytics just isn’t fast enough for you, there’s Chartbeat, a betaworks company which provides realtime analytics to Website owners. It gives Website publishers a second-by-second view of the number of visitors on their site, which pages are spiking in popularity, referring sites, as well as alerts on slow load times and server crashes. It is particularly useful for blogs. Today, Six Apart’s blog hosting service, TypePad, is starting to promote chartbeat by making it available from its stats page. 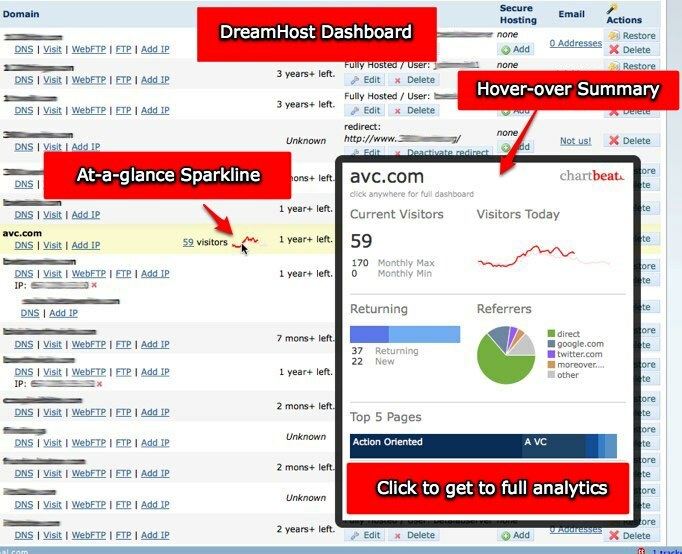 Website hosting service DreamHost is offering a deeper integration, showing a hover-over summary of current visitors and top referring sites on its dashboard page. Chartbeat also has an iPhone app which sends you push notifications every time your traffic spikes or your site is down. TypePad and DreamHost users won’t get the realtime analytics for free, however. After a 30-day trial, Chartbeat will begin charging it’s regular $9.95/month fee. TypePad Pro accounts will get a 30 percent discount. Chartbeat is hoping a large enough sliver of users will get addicted to pay the monthly charge. In an age when Google Analytics has trained people to expect not to have to pay for analytics, that could be a tough sell.